Architectural Archives | Air Control Products, Inc. Check Out the New Greenheck FumeJet® Roof Exhaust! Air Distribution Air Distribution products offered by Air Control Products includes Air Devices, Terminal Units, Chilled Beams, UFAD, Displacement, Architectural Air Devices, Thermal Actuated Diffusers and Plenums. Architectural Products Architectural Products offered by Air Control Products include Operable Panels, Portable Partitions, Moveable Glass Walls, Custom Powerlift Partitions, Louvers, Vents, Exterior Sun Controls and Elevator Smoke Containment. Louvers Louvers provided by Air Control Products are custom fit to your specific needs. We have a wide array of products, in stock, available from our three warehouses. Download the ACP Stock Catalog to see how we can assist you. 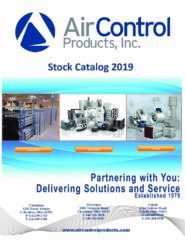 Air Control Products, Inc. Since 1975, Air Control Products has been providing quality products and services to the HVAC and industrial marketplace. Copyright ©2019 Air Control Products. All rights reserved. Website Development by COSO Media.